Having so much fun with our custom flour sack towels for the holidays! 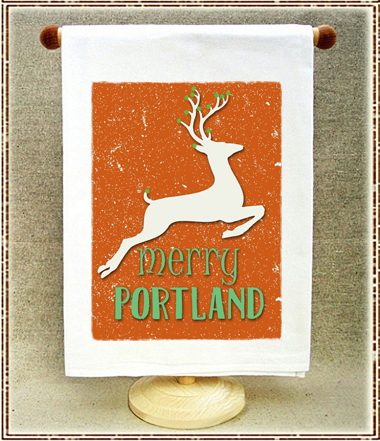 Whether it’s Merry Portland or Merry Paris….always a welcome gift! This entry was posted on Tuesday, December 5th, 2017 at 7:23 pm	and is filed under Full Circle Studio. You can follow any responses to this entry through the RSS 2.0 feed. Both comments and pings are currently closed.